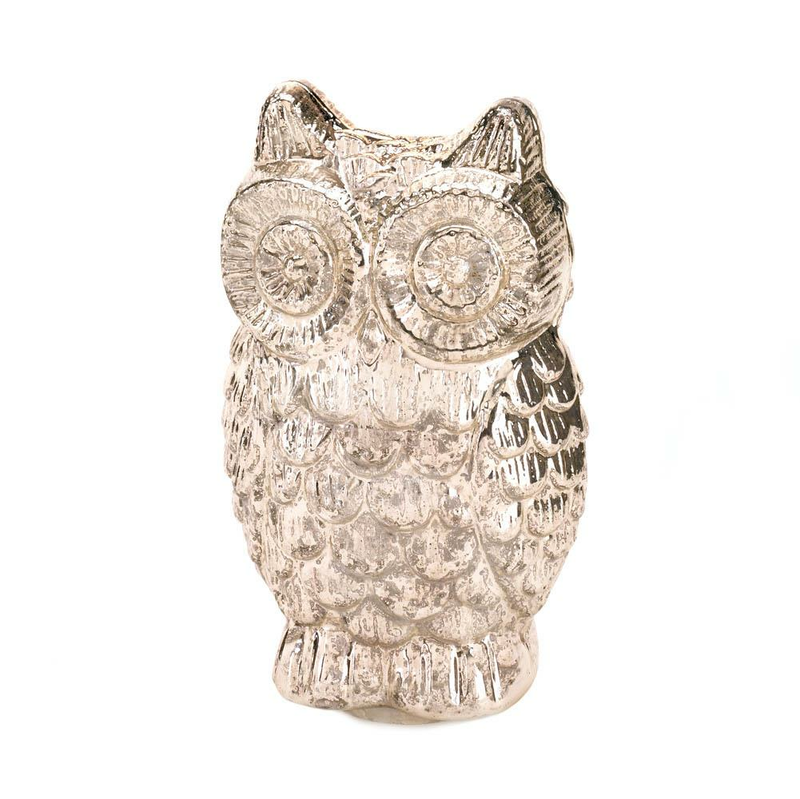 Let this dazzling little owl dress up your dresser or mantel with shimmering style. 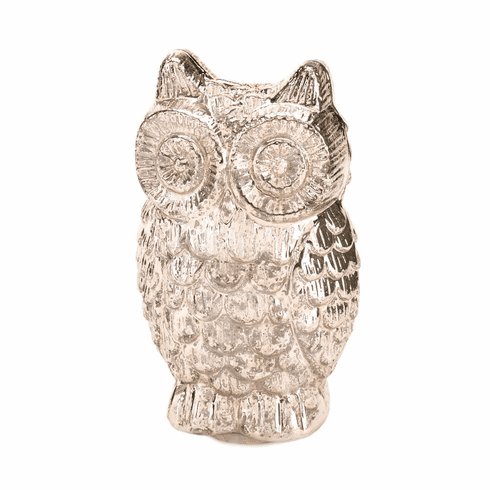 His intricate details are mesmerizing, set in glamorously glistening silver mercury glass. 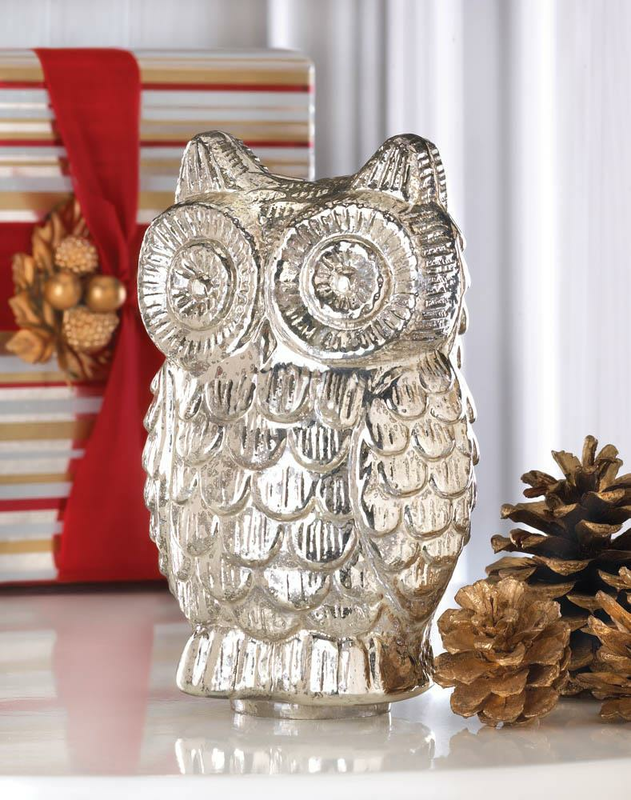 This stylish owl may not be big in stature, but he makes a big impression! Weight 0.6 pounds. 3" x 3.75" x 6". Glass. 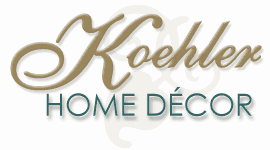 UPC Number:849179017231.